A school in Regina is taking a different approach to indoor recess in the winter. 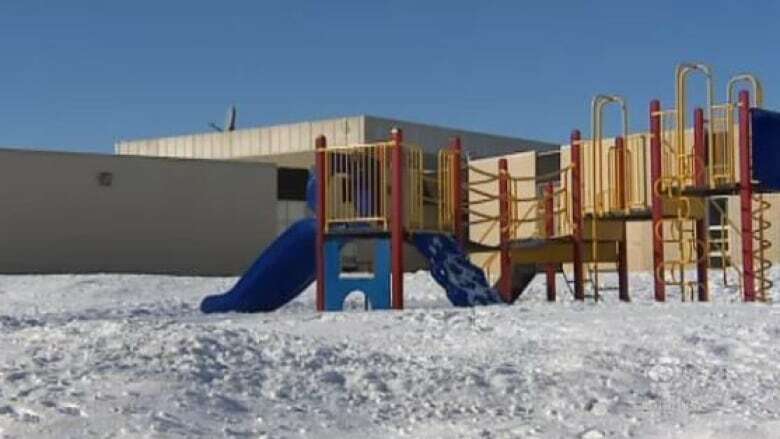 A school in Regina is taking a different approach to indoor recess during the winter season. When school officials note the outdoor temperature is colder than -27 C, students are kept indoors for their breaks. Now at St. Angela school parents have the option of letting their children join the Polar Bear Club. The youngster can bundle up and head outside to play, if they like. Parent Anne Santos, who has a child in kindergarten, said she is not quite ready for that option. "We're from Brazil, so that's a good reason," Santos said with a laugh. "She's not used to being in the snow and being outside for so long when it's so cold." Still, Santos said she likes the idea of ensuring youngsters are active and can be outdoors. She said her daughter may be ready for the club when she's older. "I would prefer of course for her to play outside and get some vitamin D," Santos said. "But if it's too cold and I'm not with her, I don't feel it is safe for her to go outside." Children playing outside will be supervised. Teacher Shelly Barthel said the outdoor option will come in handy during a cold spell. "Frequently in the winters, we'll sometimes have a week or two — a stretch of indoor recess and so everyone gets a little antsy," Barthel said. "Fresh air helps us." Barthel said playing outside can be a boost. "We know that vigorous movement and fresh air helps with things like our mood, our attention, our ability to be creative and concentrate and just our wellness as a whole," she said. "The more we can take advantage of these opportunities, the better."